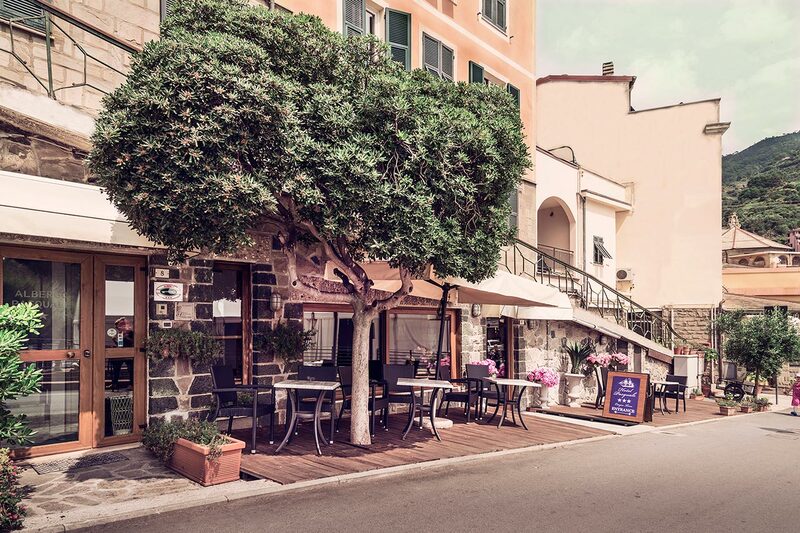 Hotel Pasquale stands in the main piazza of historic Monterosso. 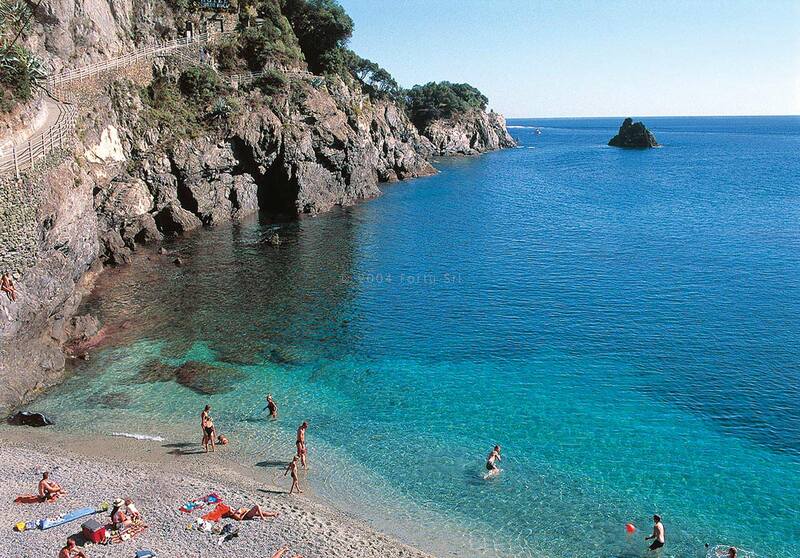 This extremely convenient location makes it an ideal base for relaxing on the beach or for all kinds of excursions. 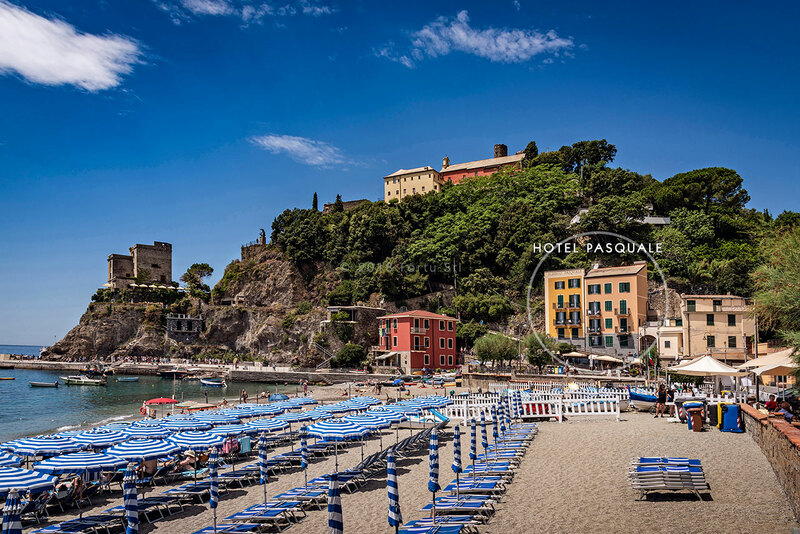 It is about 600 meters away from paid public parking, 400 meters from the train station, and only a few steps from the pier, where ferries leave for the other villages in the Cinque Terre. 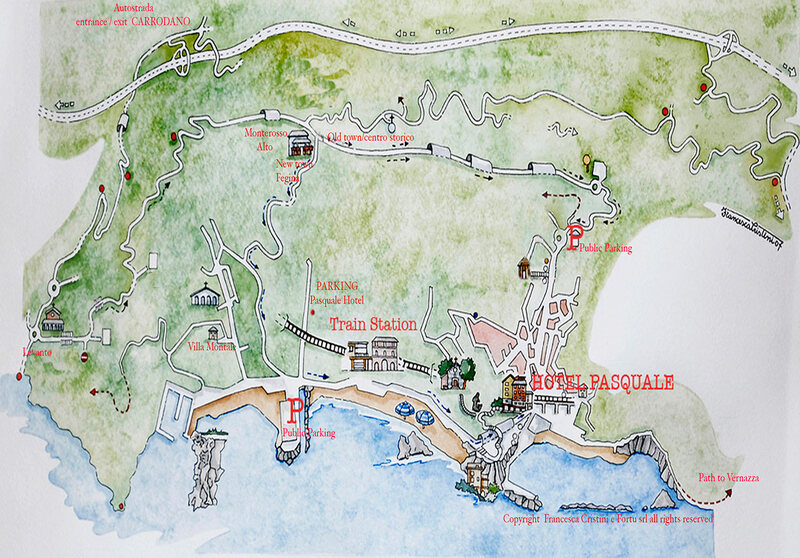 The trail to Vernazza, one of the loveliest in the area, starts in front of the hotel.